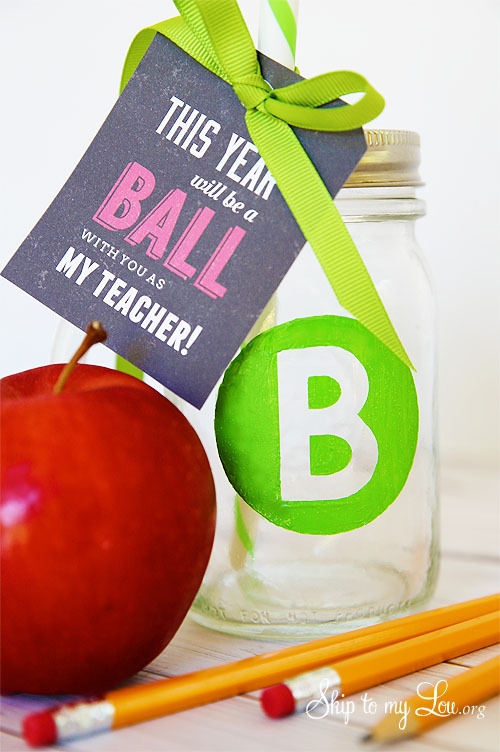 This back to school teacher gift will keep your teacher hydrated in style! 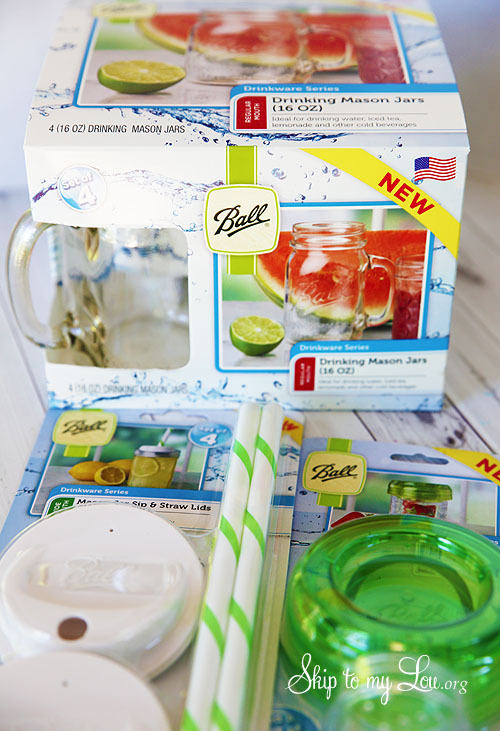 Have you seen these cool Ball Jar Drinking glasses and fun lids and straws. I think the infuser insert is super cool! What a great way to have flavored water! 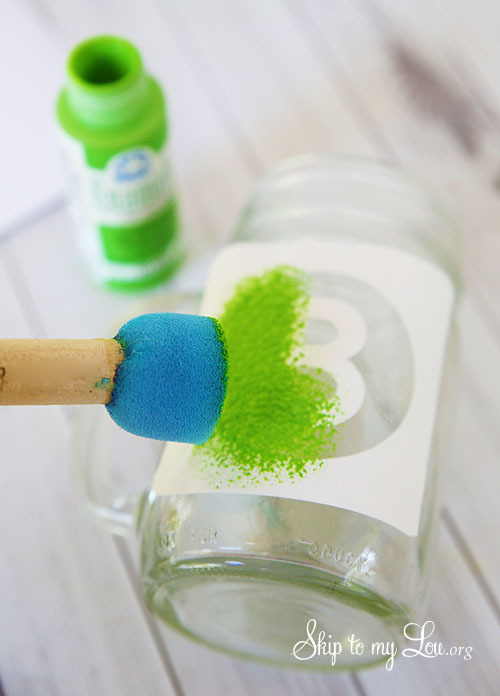 Gather a enamel paint suitable for glass and a foam stencil brush. 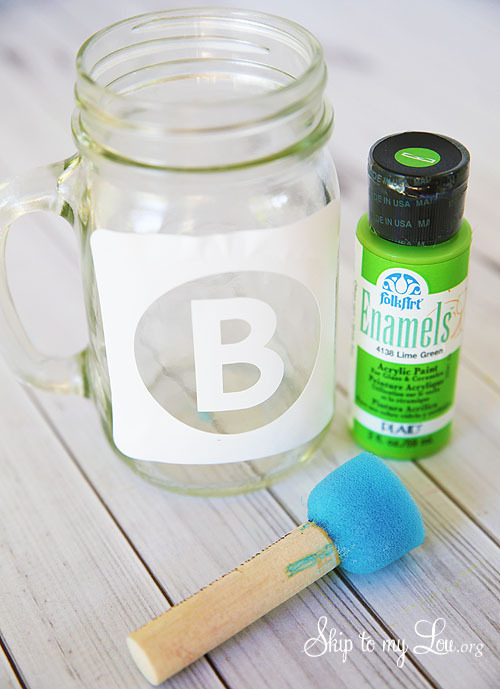 Cut a stencil out of vinyl and place on clean jar. Before paint dries pull off the stencil. Add a gift tag and easy as 1-2-3 you have a great back to school gift for your teacher. Hi, I was wondering if the acrylic pain stays on in the dishwasher? Or are the glasses "wash by hand" only? Thanks!